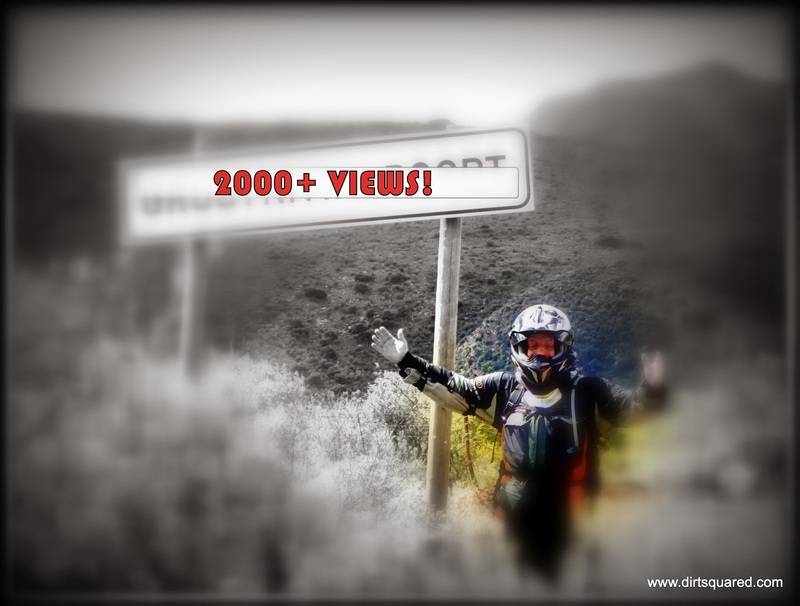 Dirt Squared: 2000 Blog views! Just over 2000 Blog Views in just over (our first) month! Thank you so much Blogville! We could not have done this without you. Thanks for the complimentary compliments, all the + 1’s and most of all, for coming back time and again! We love what we do and are stoked that we have the backing and support from so many of you. Although travelling costs money and our biggest constraint is time, we will try and bring you as much as possible. The first exiting news is that we are going to host a guest blogger once a month. Someone who has inspired us, maybe a great blogger that has caught our attention or someone that has a great way with words and pics and LIVING THE DREAM. Please feel free to contact us PRIVATELY if you would like us to host you. The possibility is there that we might have missed your great blog somehow and we’d love to give you the exposure it deserves. Thanks again to all of you who supports us! We really appreciate it! Riding the Dream! A regular (OK, vertically challenged!) guy & girl ride their motorbikes to places most people only dream of. See the pics and read about their adventures here. Surviving an epic Baviaanskloof. Our week of nonstop rain, rivers, passes, falls and mud. Yet incredible beauty amidst the challenges. Did we mention it was raining? !